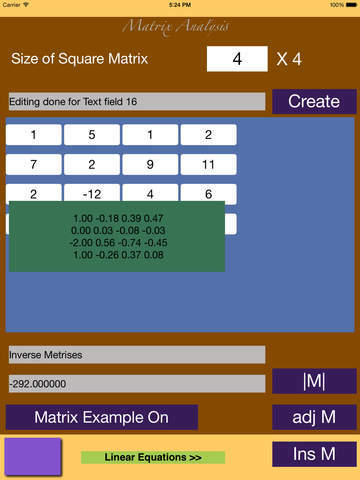 Matrix analysis solves up to six by six square matrix. Determinant can found. 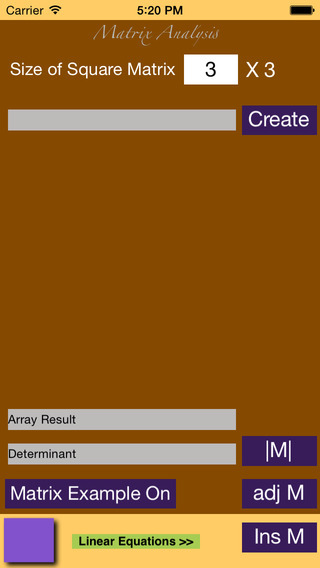 Adjoint of matrix and Inverse of matrix can be found out. 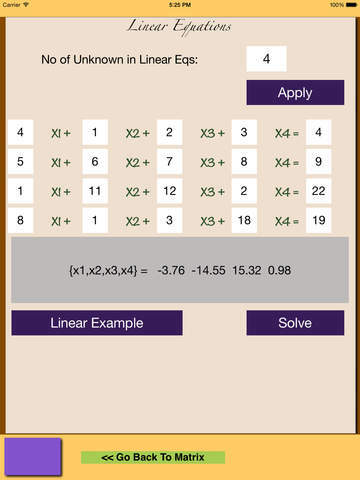 Linear equations up to 5 unknown could be find out. You must have basic knowledge of maths and algebra.